Rules: This giveaway is open to U.S. & international readers! Winner will be chosen at random and will have 2 days to claim her prize. Must fulfill all mandatory requirements otherwise entry will be removed. Giveaway ends April 2nd, 12:00 AM EST. Good Luck! oh so nice necklace. Love the dress Khatu. The dress and the necklace are FAB. Done!! Good luck and thanks! Thank you for the giveaway!! Love it. Done! 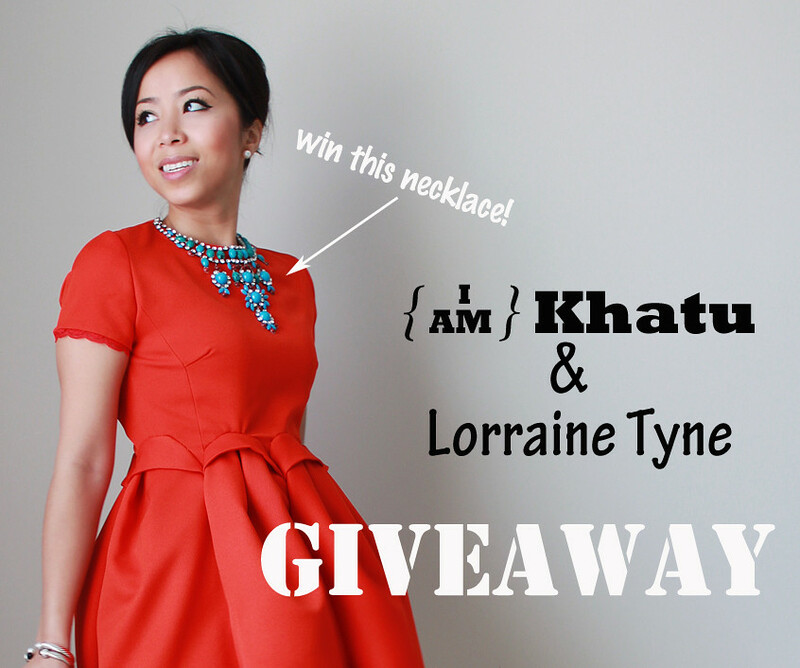 Fabulous giveaway, the color is perfect for spring!